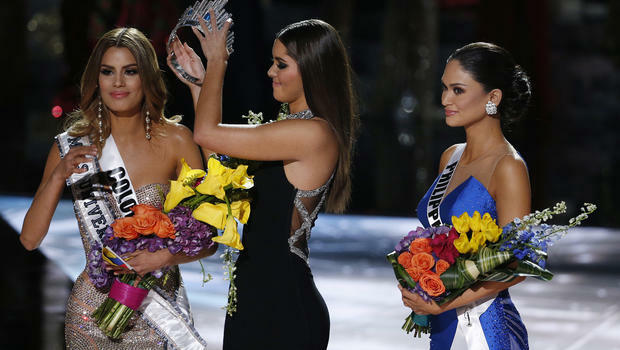 Last night, during the live airing of Miss Universe 2015, Comedian-extraordinaire Steve Harvey accidentally crowned the wrong winner of the highly-anticipated beauty pageant. With what many say appears to be a confusing card, Mr. Harvey confused the “1st Runner up” as the competition’s winner, crowning Miss Columbia as opposed to Miss Philippines. Realizing his ‘honest mistake’, Harvey quickly apologized and showed the audience the actual card naming Miss Philippines as the winner. This was after Miss Columbia was already crowned. Awkward! Following the mishap, Harvey took to Twitter apologizing to both contestants again. Surprisingly, he received positive feedback from many, including fellow Comedian DL Hughley and Basketball Legend Magic Johnson. We all make mistakes! Congratulations to both ladies though for making the best of an awkward situation!